Browsing fast and safe with YOLO Browser. 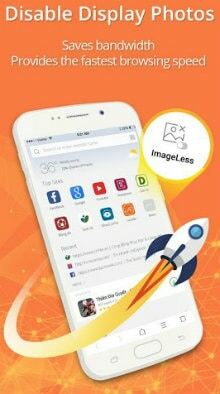 With disable photos display feature, save up to 50% data usage and push up to 200% performance while browsing. 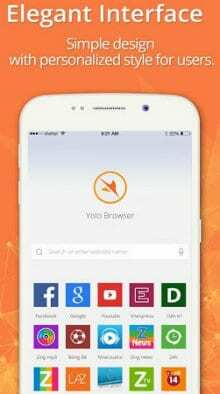 Yolo Browser will protect your device when you download files from internet via this browser. Protect your privacy with anonymous browsing mode, delete cookies history and saved passwords, giving you access to every corner of the internet. Scan downloaded file, find malware, protect your device. Warning fraudulent websites. YOLO Browser is an effectiveness mobile browser which can protect you from malicious threats, 3G saving, perfect surfing experience and still give you rapid browsing speed. Saves bandwidth, provides the fastest browsing speed. Power saving help users reading comfortable, without causing eyestrain. Elegant and simple design with personalized style for users. The tabs open and bookmarks are synced with your your computer. MOG Vietnam (the predecessor company mWork) is one of the most successful startups in Vietnam in the field of production and distribution of digital content on mobile. With the philosophy: “Make things better”, today MOG have developed a series of products and services, support tools for mobile application distribution, PC not only for developers but also for general users.